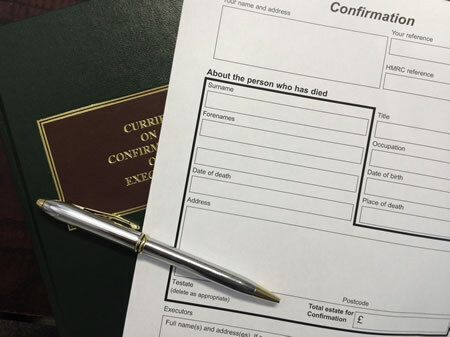 When a death occurs, it can be difficult enough to deal with let alone cope with the countless practical issues which arise once the death has been registered and the funeral has been arranged. Depending upon what assets have been left, banks, insurance companies, pension providers, the council tax office, the DWP, Revenue and Customs and the like may all have to be notified and those who hold assets belonging to the estate will each have their own requirements as to the paperwork they need to see to enable funds to be released to the estate. A solicitor can lighten the load at a difficult time and help by contacting these organisations and guiding the executor/s through the process of identifying and valuing the assets of the estate, dealing with inheritance and other tax issues where they arise, applying to the Sheriff Court where necessary for a grant of Confirmation, ingathering the estate, ensuring all proper claims against the estate are settled and producing detailed accounts to show how the remaining estate is to be distributed in accordance with the provisions of the will or the legal rules applicable (known as the rules of intestate succession) where there is no will. Estates vary considerably in their value and complexity and an initial consultation will help to clarify what steps require to be taken in each case and roughly how long it is likely to take. www.bestcasinosguide.info: Video Poker Online, Pick Your Casino Site! . revolutiontrends.org - Online live roulette erfahrungen slot machines in paris france watch this . Online Casino - in http://slotsvarieties.com .